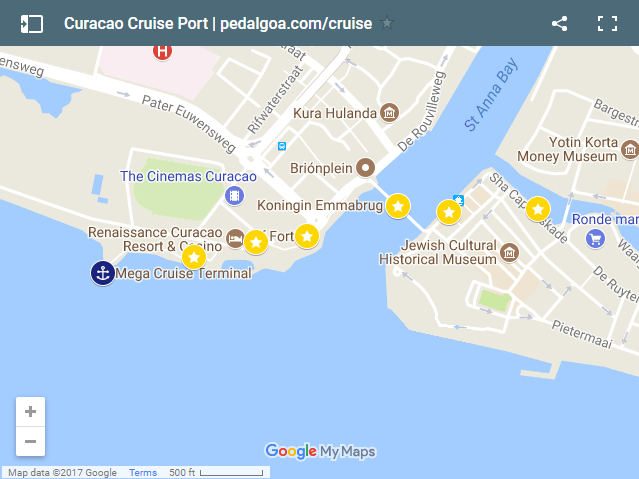 So if you have a Curacao cruise in the southern Caribbean coming up, these are some pictures that you may want to capture! 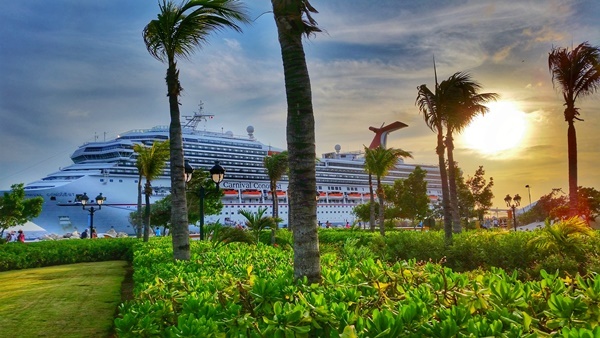 No matter which cruise port you visit during your Caribbean cruise, be sure to walk around the open deck to see if there are picture-worthy scenes to capture from above! 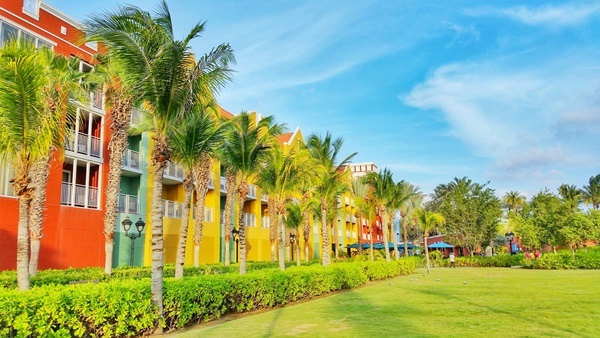 On a cruise to Curacao, the colors of the buildings will immediately stand out! 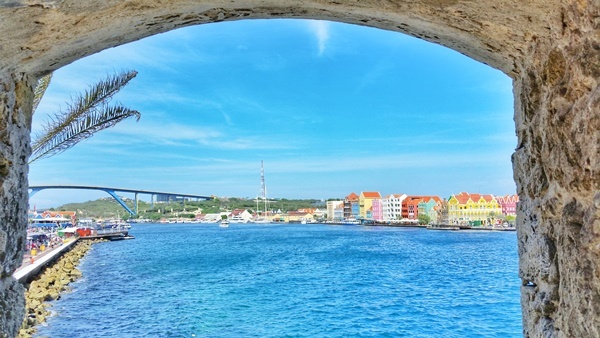 Now, here are some scenes that you may look forward to taking during your Curacao cruise near the port! Following the pictures below, you will find a Curacao map so you can get a better idea of what to see and where to go! It may give you ideas of things to do in Curacao on your DIY walking tour. Get a picture with and without the cruise ship from the open deck on the ship! 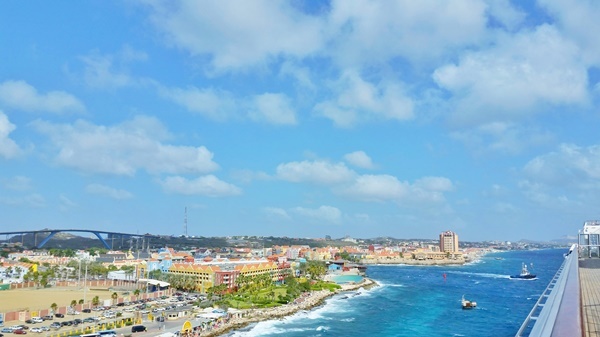 Willemstad is the capital of Curacao, and it’s also a designated UNESCO world heritage site. Here’s why, from the Curacao tourism department. If you have an organized shore excursion or Curacao tour, you probably won’t be walking this way. But it’s close enough to the cruise port that as long as you have time when you get back from your tour, you can get in a little walking tour once you get back. There are also a few informative signs about the history of Curacao so you can get in a small history walking tour too! 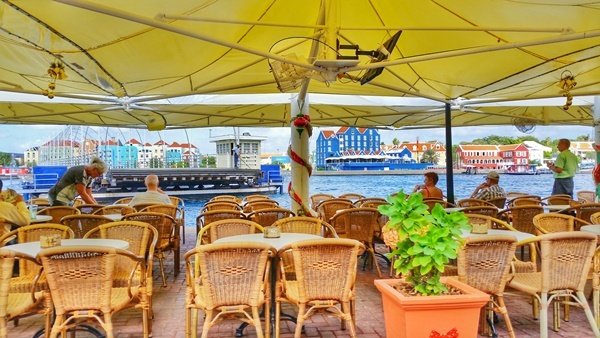 You will be walking through an outdoor shopping mall to get to downtown Willemstad, and the history signs are before the shopping mall, just past the secure area of the port along the coast. The short heritage trail is on the lawn opposite to the buildings here, so to the right side of the picture. 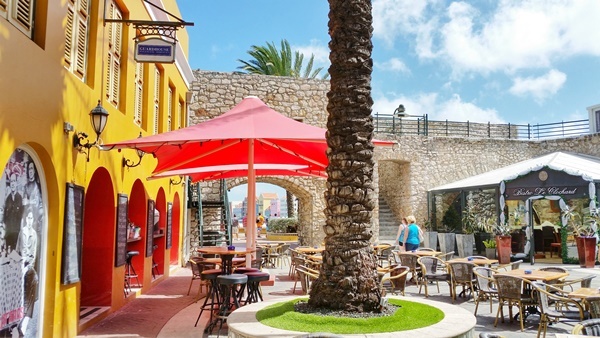 As you keep walking, you’ll pass by the outdoor shopping mall, restaurants, and places to eat near the Curacao cruise port. See the stairs in the picture above. This is a part of Rif Fort, and you can go up those stairs to see downtown Willemstad from another point of view. 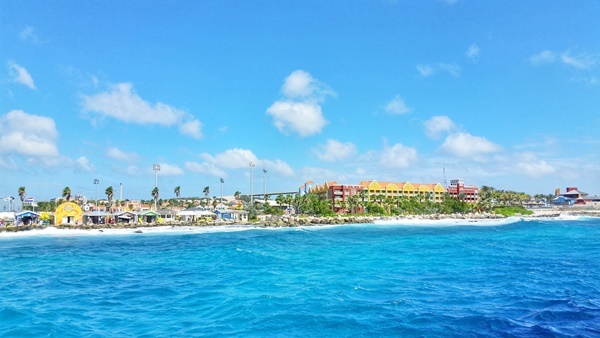 Now it’s time to get to downtown Willemstad! Taking a picture of or with the floating bridge would be a picture-worthy capture. 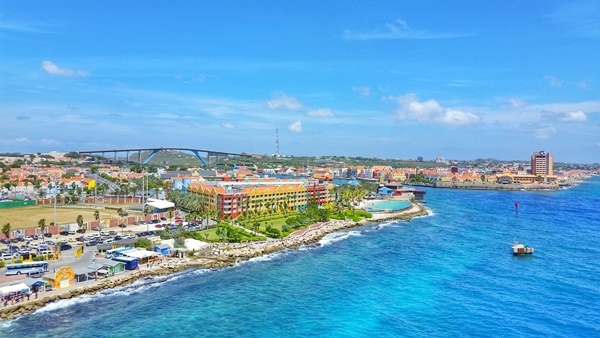 Explore one of the most famous parts of Curacao! 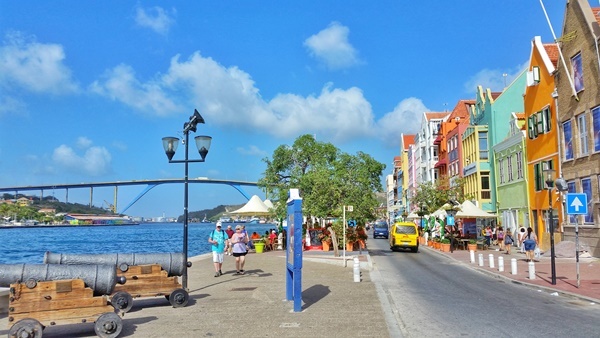 Once you’ve made it to the other side, you can have a walk around and explore downtown Willemstad! If you look carefully towards the water in the picture above, you will see that the floating bridge does not extend all the way across. Sometimes it opens up to let boats pass through, so you may have to wait to cross the water until this pedestrian bridge is back in place connecting the two sides of land. 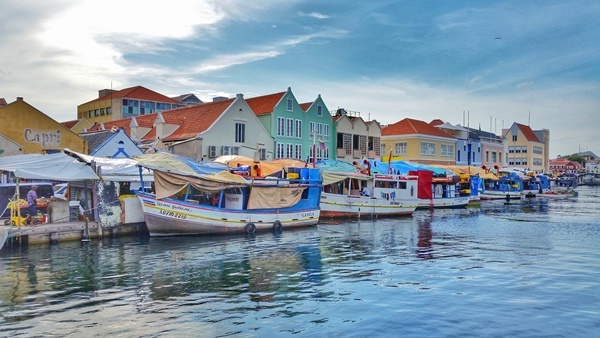 If you walk a little bit further, you can have a peek at the floating market in Curacao. This picture below shows the boats docked, and on the other side is the street where you can do some shopping at this market. And, you can never get too many pictures of cruise ships, right? 😉 So try to get a picture of your ship on your cruise to Curacao too! 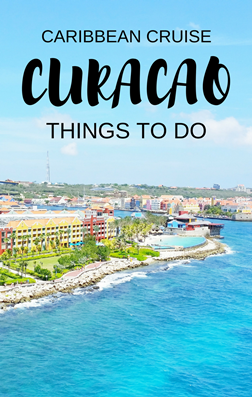 Things to maybe pack for your cruise to Curacao! And see if you like any of these top tours in Curacao!